Being in a car accident can be stressful and expensive - or it can not. A smooth, reassuring and proficient auto collision repair process can take the stress away. So what should you expect from a process like that? Comprehensive assistance is a must. Your vehicle repairs shop should be by your side every step of the way, assisting with tow services, rental car, insurance liaising and more. You should also expect thorough damage inspection, which sometimes may include vehicle disassembly, to make sure there's no hidden damage before the insurance claim is filed. Of course, never expect anything less than expert structural and body repairs finalized by quality control inspections. During the entire process, which can sometimes be lengthy, you should be able to count on regular updates as well. Here at CARSTAR Auto Body Services in Wauwatosa, WI, we strive to do just that - be by you and your car's side every step of the way. 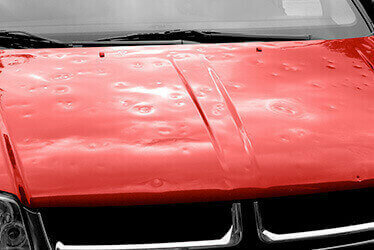 From 24/7 assistance and fleet services to hail damage and paintless dent repairs, there are many and various services that CARSTAR CARSTAR #15024 in Wauwatosa, WI provides. Our goal is to provide you with an auto body center that you can turn to. whatever your needs may be, so you know at any time and in any circumstance that your vehicle is in good hands. Our 24/7 assistance service includes everything from tow services to car rental arrangements, as well as dealing with all paperwork and walking you through the process step by step. Our fleet services will keep your cars on the road longer with lower costs, while our hail damage repair services will put that nasty storm behind you.